In this chapter, by using the institutional approach, we examine how social progress orientation through entrepreneurship driven by opportunity affects economic development. Using a pooled data of 81 observations and 56 countries and the three-stage least squares method (3SLS), we provide empirical evidence that social progress orientation measured through civic activism, voluntary spirit, and inclusion of minorities has a positive and significant influence on opportunity entrepreneurship, which in turn, affects economic development as an endogenous factor. These results could encourage new elements in both theoretical and policy discussion. 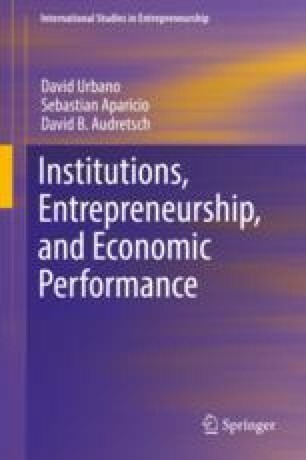 For instance, this chapter advances the literature by providing new insights into the environmental factors that affect entrepreneurial activity, especially that driven by opportunity which affects positively economic development in the light of institutional economics. Also, the research could be useful for designing policies to foster economic development through entrepreneurship in different environments.